What is The Best Trumpet Valve Oil ? 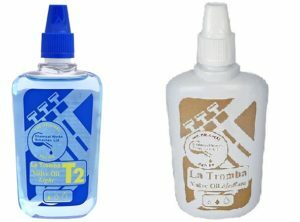 I consider La Tromba to be the best trumpet valve oil on the market today. What is the best trumpet? What is the best mouthpiece? What is the best piccolo trumpet? 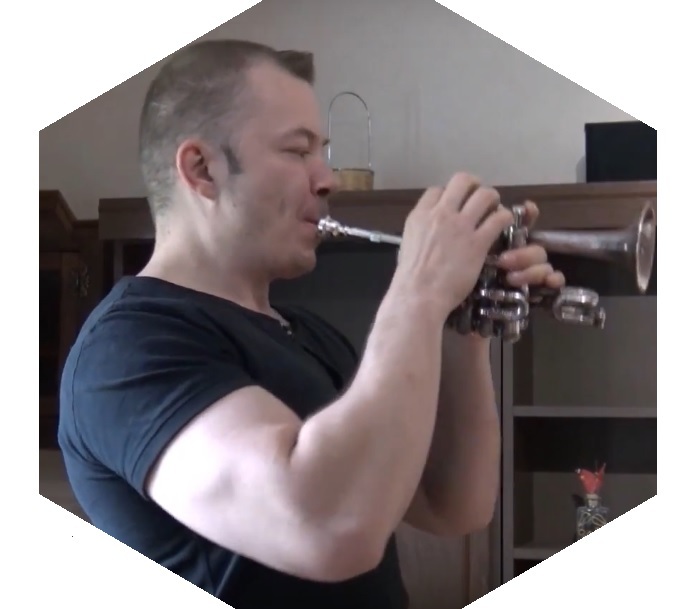 …”what is the best trumpet valve oil ?” The short and simple answer is “La Tromba” is the best trumpet valve oil of all the oils I have tried… and I honestly think I have tried if not all then, at least, most of them. When I bought my B&S Eb-Trumpet it was a brand new horn. The valves were smooth and lightning fast except for the middle vale. When I pressed it down it sometimes got stuck even though everything was clean and new. I brought my trumpet to a repair tech but even he couldn’t see anything wrong with the valve. I tried many different kinds of valve oils but nothing seemed to help. Since then I have had no problems whatsoever with the valve. ..it is NOT the Yamaha valve oil even though I love the Yamaha trumpet brand, and absolutely love my 8310Z horn. What is the best valve oil for trumpets? La Tromba wins but I will keep an open mind and try new stuff that comes out as well just because, well, I’m a trumpet nerd. …so you get a broader view than just listening to my personal opinion. Can I use replacements for trumpet valve oil ? Can I put something else on my valves besides real valve oil? Can you use vegetable oil instead of valve oil? It is not a good idea at all. While it might perhaps work somewhat well in the beginning, oils tend to go rancid and produce free fatty acids. The only one who might benefit from this in the long run is your trumpet repair man. I’d stay away from it if I where you. Can i use olive oil on my trumpet valves ? 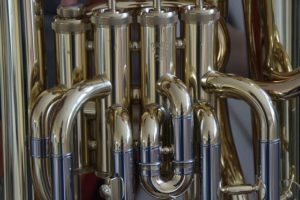 A student of mine once asked me “can I use olive oil on my trumpet valves” so I thought that why not make a answer on my website because there might be other people out there thinking and wondering the same thing. Well the answer is the same as above, oil goes bad after a while and we do not want vegetable oil or olive oils on our trumpet valves. Use them in your food instead. How about spit? Can I use only spit on my valves and no trumpet valve oil? …I really recommend you just invest a few dollars and get a some real valve oil. For just a few bucks you get oil that lasts for months! What is trumpet valve oil made of? Like oil for other machinery the oil we put in our cars and also on our trumpet valves are petroleum based. The most commonly used distillate is perhaps mineral oils. We can also find valve oils that are synthetic and they can be beneficial for lasting longer without becoming thick or gummy. Synthetic oils are more expensive than petroleum based oils and some say it is a bit “lighter” as well. Most trumpet valve oils are synthetic nowadays.